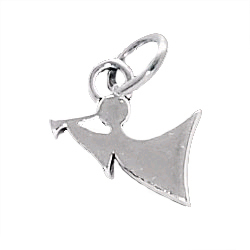 Just in time for the holidays - Angel with Trumpet Charm! Measures approximately 13.5mm (across widest part) x 9mm (measurement includes small ring at top, but not jump ring). Jump ring is open.